Combine your peewee’s, child’s or youth’s Tonik pass with a Snow School Seasonal Program and your child will have access to the slopes at all times. This “($)” symbol means that an additional purchase is required. Resort Charge allows you to link your credit card to your season pass. First of all, as a new pass holder, you must make your way to Tremblant’s Guest Services Desk to pick up your pass for the spring access (April 8 to 22, 2019) as well as your summer 2019 Gondola Access. However, if you renewed your IKON pass, your accesses will automatically be added to the card you currently have on hand. In the fall of 2019, all IKON and IKON Base pass holders will be getting their new 2019-2020 season pass through the mail. If you do not receive it, we invite you to visit the FAQ section of ikonpass.com : https://www.ikonpass.com/fr/faq or to call 1-888-264-5603. If you purchased the Express-Line access for the 2019-2020 season as a new pass holder, you must absolutely pick up a new card at Tremblant’s Guest Services Desk. If you are renewing your Express-Line Access, it will be automatically added to the pass you already have. You will then be able to show up to the lifts at any time with your IKON pass and your Tremblant Express-Line card. If you purchased the Tremblant Privilege Bundle (that includes First Tracks, 20 hot chocolates/coffees, one tune up and other advantages), this bundle will be configured on your IKON pass. If you have yet to purchase it, you have until November 29 to purchase it online or you can buy it in person at any time. We remind you that your risk recognition form must be up to date and signed in order to be able to use your pass or card. To find out your form’s status, go to your online account. You can complete it online or in person at Customer Services. If the content of this message does not match your profile, please refer to all communications posted on our blog. 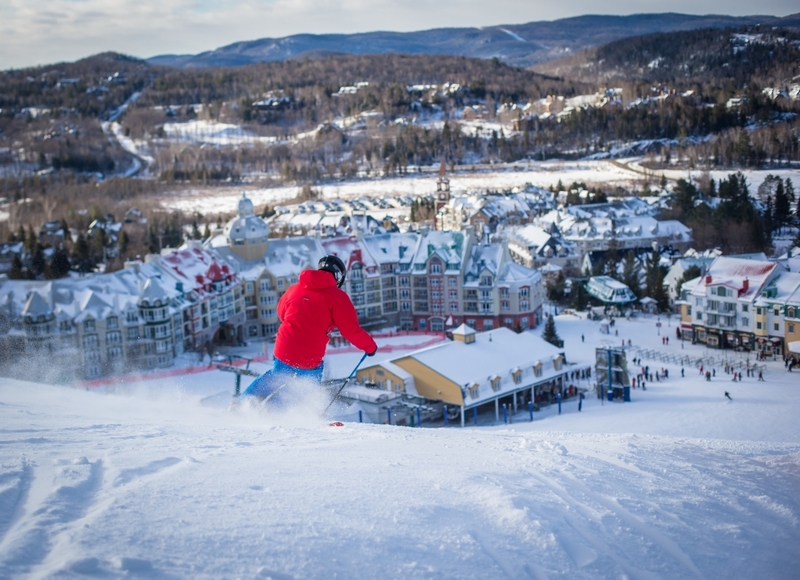 For any other question regarding your ski access, please visit the Frequently Asked Questions section of tremblant.ca. We wish you a wonderful season. Since you are an IKON pass holder, we wanted to send you additional information on its use. As a new pass holder, you must make your way to Tremblant’s Guest Services in order to pick up your pass for your Spring Access (April 8 to 22, 2019) as well as your summer 2019 Gondola Access. However, if you renewed your IKON pass, your accesses will automatically be added to the pass you currently have on hand. In the fall of 2019, all IKON and IKON Base pass holders will be getting their new 2019-2020 season pass through the mail. If you do not receive it or for further information, we invite you to visit the FAQ section of ikonpass.com : https://www.ikonpass.com/fr/faq or to call 1-888-264-5603. With this card in hand, you can make your way directly to the lifts! Further details on tremblant.ca. Although your ski access is configured on your new IKON pass, please note that your Express-Line Access as well as your Montagnards and IKON privileges are configured on your Montagnards Card. You will thus have to show both cards (IKON pass and Montagnards card) at the lifts. The Montagnards Card is also the one that contains the Tremblant Privilege Bundle (that includes 20 hot chocolates/coffees, the tune up and other advantages), if you purchased it. If you have not yet purchased it, you may do so online until November 29 or in person at any time. As for your kids, if they are Club de ski Mont-Tremblant members or are in a Snow School seasonal program and are TONIK card holder with access at all times, their ski access, Express-Line access and Tremblant Privilege Bundle are directly configured on their Montagnards Card. Since you are a TONIK pass holder, we wanted to send you additional information regarding the use of your cards for the season. All your Montagnards privileges and your TONIK pass have been configured on your Montagnards Card. Thus, your card is ready to use at the lifts! Also, your Montagnards Card will be the one used for the Tremblant Privilege Bundle (that contains 20 hot chocolates/coffees, a tune up and other advantages), if you purchased it. If you have not yet purchased it, you may do so online until November 29 or in person at any time. As for your kids, if they are Club de ski Mont-Tremblant members or are in a Snow School seasonal program and are TONIK card holders with access at all times, their ski access, Express-Line access and Tremblant Privilege Bundle are directly configured on their Montagnards Card. Since you are a TONIK pass holder for the 2019-2020 season and are also enrolled in a Snow School seasonal program, we wanted to let you know that your TONIK pass has been activated to give you access to the lifts at all times on your TONIK Pass from last season. If you don’t have your card any longer, or if you are a new pass holder, please make your way to the Customer Services Desk to pick up your new card. We are expecting you for the launch of the new season on November 22nd at 8 a.m.
Also, if you purchased the Tremblant Privilege Bundle (including First Tracks, 20 hot chocolates/coffees, tune up and other advantages), these privileges have also been configured on your TONIK pass. If you have yet to take advantage of this offer, you can purchase your bundle online until November 29, or in person at all times.